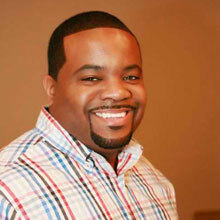 Minister Rahiem Allen was born and raised in Newark, NJ. He attended school in the Newark public school system. He he is matriculating at Middlesex county college. Minister Allen is happily married to Dijha Walston Allen and a proud parent of two children, Ashley and Davon, who attend Bennett College for Women and Shaw University, respectively. He has been a member of Cathedral International Church in Perth Amboy, NJ for 16 years, a faithful servant at heart. He currently serves in a multi-dimensional capacity as Adjutant to Bishop Donald Hilliard, Jr. and works with the youth ministry. Minister Allen has also served as Product Development Coordinator for Donald Hilliard Ministries. In that role, he helped coordinate and produce a documentary that explored some of the hindrances of inner-city youth. The documentary was highlighted and used during the “Take the Lead” youth conference held at Cathedral International. Minister Allen has also been instrumental in coordinating the annual Youth Conference at Cathedral International, where over 1500 youth and young adults come to receive an impartation from the Lord. His passion is to help young people understand that they have a purpose and must position themselves for their destiny. He encourages youth and adults to press pass the pressure and passionately pursue their purpose!